What Is The Millennium Reign of Christ? It is interesting that the millennium - the 1,000 year reign of Christ - is mentioned in only one place in Scripture and yet tends to be the defining point in end-times beliefs. There are pre-millennialists who believe Christ returns before it begins. Included in this is the popular but recent belief of dispensationalism. Then there are amillennialists who do not believe there is a specific 1,000 year reign. Finally, we have the post-millennialists who believe the millennium began at the resurrection of Christ. Pre-millennialists take the millennium as a literal 1,000 year period. Amillennialists and post-millennialists take it as a figurative number. As you can see, this section of Scripture is found in the Book of Revelation. Revelation is filled with prophetic symbols, a fact we must take into consideration. Anytime we are working with an unclear or controversial section of Scripture we must begin with the realization that no matter how we understand it, it must be in accord with the plain teaching of Scripture elsewhere. We never use unclear Scripture to interpret plain Scripture. Rather we start with what is clearly taught and use that to help us understand areas of confusion. If we are going to come to a Scriptural understanding of this portion of the Bible we will have to put our detective hats on, look for clues, and compare it with clear Scriptural teaching. - Who is the angel? - Is the thousand years literal? - Who are the people on the thrones? 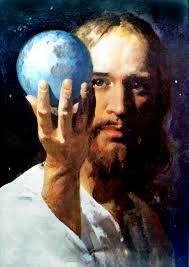 - Where and how does Christ reign? - Where and how do these people reign with Him? - When do the dead live? - What is the first resurrection? the second resurrection? - What is the first death? the second death? As we begin the find the answers these questions we will be able to have an idea of what Rev. 20:1-10 is talking about. From the above clear verses we can see that Jesus came down from heaven and defeated the devil. The next important question is: When did Jesus defeat satan? Both Col. 2:15 and Heb. 2:14 identify that as when Jesus died and rose from the dead. This is also confirmed in Matt. 28:18 when Jesus stated He had all power/authority after His resurrection. We can now see what Rev. 20:1-2 is talking about. Jesus defeated and bound satan at the cross. He is a defeated foe. This raises further questions, but now we have a foundation and time frame to work with. 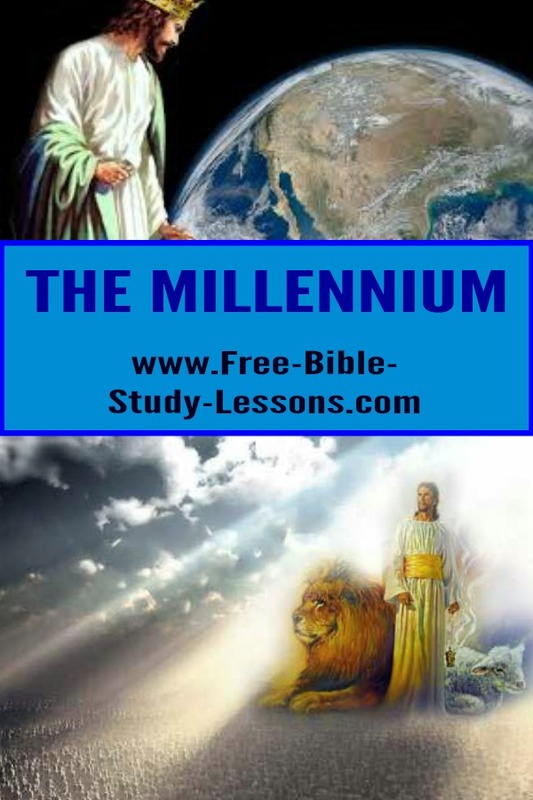 - Jesus permanently defeated satan - why does it say for a millennium? - If satan is defeated, how can he be loosed for a little season? - Are the 1,000 years literal? Satan is defeated and bound, but that doesn't mean he is destroyed. An abundant selection of New Testament Scriptures reveal that he is still around in a dangerous but limited sphere. Our context here is satan's ability to deceive nations. At the time of Christ every nation except Israel was under the deception and control of satan. Even Israel was greatly compromised as evidenced by Jesus calling the Jewish leaders the children of the devil [John 8:44]. Shortly after the resurrection the gospel went world-wide. A careful reading of the book of Acts shows that the known world received the gospel within one generation. Satan's ability to deceive nations has been restricted. It would appear that God will allow satan's deceptive power to be increased shortly before the second coming. This context answers our question on whether the millennium is a literal 1,000 years or not. 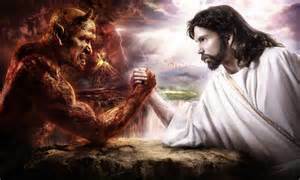 Jesus defeated satan around AD 30; therefore, the 1,000 years began at that time. It is apparent that they did not end in the year AD 1030, but are continuing on into our own era. They can only then be figurative or symbolic. The number 1,000 in Scripture sometimes means "a large but unknown number" [Deut. 1:11, 7:9, Job 9:3, Ps. 50:10, 105:8, Is. 60:22, 1 Cor. 14:19]. Moving into verse 4 we see people on thrones and martyrs who had been beheaded. Who are these people? We are told they reign with Christ in the millennium. Who does the Bible teach us reigns with Christ? Those who follow Christ [2 Tim. 2:12, 1 Cor. 6:2-3, Eph. 2:6, Matt. 19:28, Luke 22:30]. This is further confirmed by Rev. 20:6 where it refers to those who reign with Christ as partaking in the first resurrection [see below]. All believers reign with Christ both in this life and after this life. Some believers are singled out for special mention, but that doesn't change the fact it includes all believers. - What is the first and second death? - What is the first and second resurrection? As usual we need to start with what we do know. The second death is clearly identified in Rev. 20:14 and 21:8 as the Final Judgment. It is the time when the ungodly - body and soul - are condemned eternally to the lake of fire. What is the first death? What is the first death the Bible speaks of? Spiritual death [Gen. 2:17]. Adam disobeyed God in the Garden of Eden instantly experiencing spiritual death and beginning the process of physical death. With these definitions of first and second death, what do we make of the first resurrection? What is the first resurrection? It is the resurrection of Jesus which we partake in at the new birth [1 Cor. 15:20, 15:23]. Does this definition answer what we know about the first resurrection? Rev. 20:6 tells us that the second death [Final Judgment] will not hurt those who have experienced the first resurrection. Does this fit? Yes, those who partake of Christ's resurrection [Christians] have no fear of final judgment. What does that leave us for the second resurrection? If the first resurrection is Christ's resurrection - which we partake of at salvation - then the second resurrection must the the resurrection of the righteous at the Second Coming. This would fit because the Second Death and the Second Resurrection would then be happening at the same time: Death for the ungodly, resurrection for the Godly [John 5:29]. As we have seen, the millennium began with the resurrection of Jesus Christ. The 1,000 year must then be a symbolic number not a literal one [this should not surprise us in prophetic books]. We also know that Christ must reign until the Second Coming [1 Cor. 15:25]. So where does this 1,000 year period come in? Notice that the first and second time this period is mentioned [vs. 2 & 3] it refers to the length of satan's imprisonment, not the reign of Christ. Then it tells us that believers and Christ both reign during this period. It does not say they stop reigning at the end of the 1,000 years. We might think this is implied if not for the plain teaching of Scripture elsewhere [see above]. What about verse 5? Who are the dead who live after the 1,000 years? We use the process of elimination. Believers are alive with God and reign with Christ during the 1,000 years. Who is left? Unbelievers, who are spiritually dead - they have not taken part in the first resurrection. Again, it does not say that they came to life immediately after the end of the millennium. Again we might think this is implied if not for the plain teaching of Scripture that the ungodly are raised at the Second Coming/Final Judgment [John 5:28-29]. This does not belittle the intense suffering portions of the church are going through right now as about 150,000 people a year lose there lives for the Lord, not to mention the varying degrees of tribulation that all Christians face. This short season after the millennium appears to be in relation to satan's ability to deceive nations. It does not mean there will be one world government since Scripture seems to indicate that there would never be a world-wide government after the collapse of the Roman Empire [Dan. 2]. However, it may be that all nations will unite in trying to stamp out the church as the Roman Empire attempted to do at the birth of the church. Note: If you purchase one of the books below through these links, I will make a commission.